Recently (Starting from the beginning of the year), I received quite a lot of messages with links from my friends’ Live account on Windows Live Messenger. The messages were sent by my friends’ intention and some of the messages were sent as offline messages. As discover by a few other bloggers (LiewCf and CyberHQ), the links in the messages will redirect you to a MSN phishing site and ask you to key your Live account’s username and password. The phishing site tries to trick you by showing you “your images” that have been uploaded to Live website if you login into your Live account. The person’s PC which sent you the unsolicited messages might have infected by virus or spyware. Among my friends who sent me the unsolicited messages, some of them are IT professionals. They are not aware what had happened to their PC. Some of them even do not install antivirus software on their PC and some of their antivirus software’s virus definition database is not up-to-date! Spam message – do u send me “Ever since Derek and I seen those Acai pills on Cnn and Oprah we have been taking them and losing so much weight so fast with no diets or excercise , we are living proof that it works like magic and they are only five dollars now to try from hxxp://dotedote.com”? Note the website URL “http” has been replaced with “hxxp”. Ask you to enter your Live/MSN/Hotmail username and password so that the website can show your something (e.g. image and videos). Redirect you to your localhost but remain the same domain. Redirect you to your MSN’s website but remain the same domain. Ask your friend if he or she sent you the message before you open the link. If he or she did not send the link, you should tell he or she that his or her PC might be infected by virus or spyware and ask he or she to install a good antivirus to scan their PC for spyware and virus. I’m using AVG Free antivirus which is pretty good and fast. Do not open the link. If your still want to try your luck to open the link, do it with Firefox or Google Chrome. Do not use Internet Explorer because it enables VB-Scripts which allow malicious software to be installed automatically to your computer. Do not download any executable file (e.g. exe file and exe in zip file) or screen saver (with file extension .scr) from the site. Ask your friend to change his or her account password. The most frequent spam messages I received is the Acai slim thing, heck, I also found this advertisement in the mails of my Yahoo! bulk mailbox. 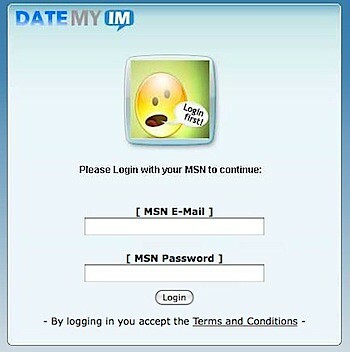 I once gave my MSN login information to a site which can “check who blocked you”. Fortunately no one reported that my MSN did send any spam message. Hi, i’ve been receiving this kind of messages but the sender is always the same person. I’d like to know why these messages are just for me. You should ask the person who send you the message do a antivirus scan on his/her computer and change his/her msn password. Hope this will help.